Description: Typing on computer keyboard. Girl typing on computer text and wondering later. 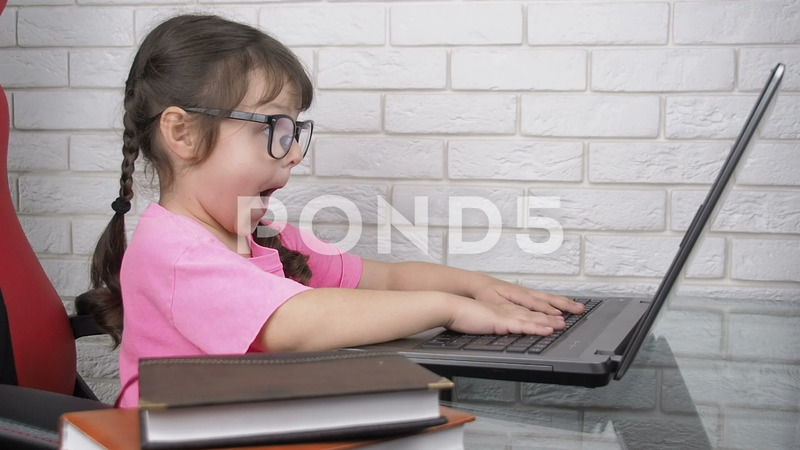 A child with glasses at the computer. Internet addiction.